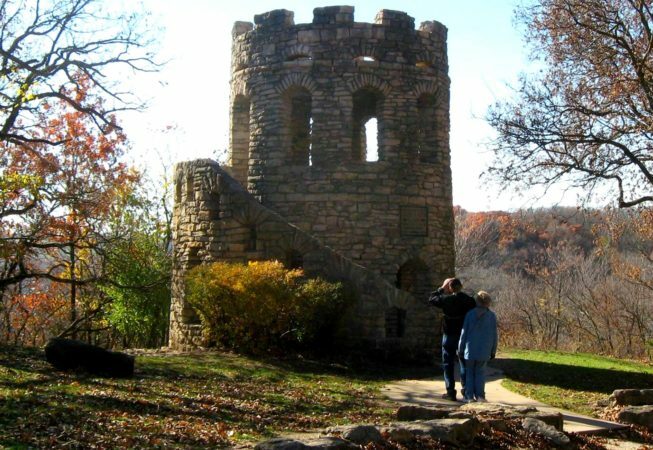 Situated in Winterset City Park (along with Cutler-Donahoe Bridge), Clark Tower was erected in 1926 as a memorial to the county’s first pioneer family by its descendants. 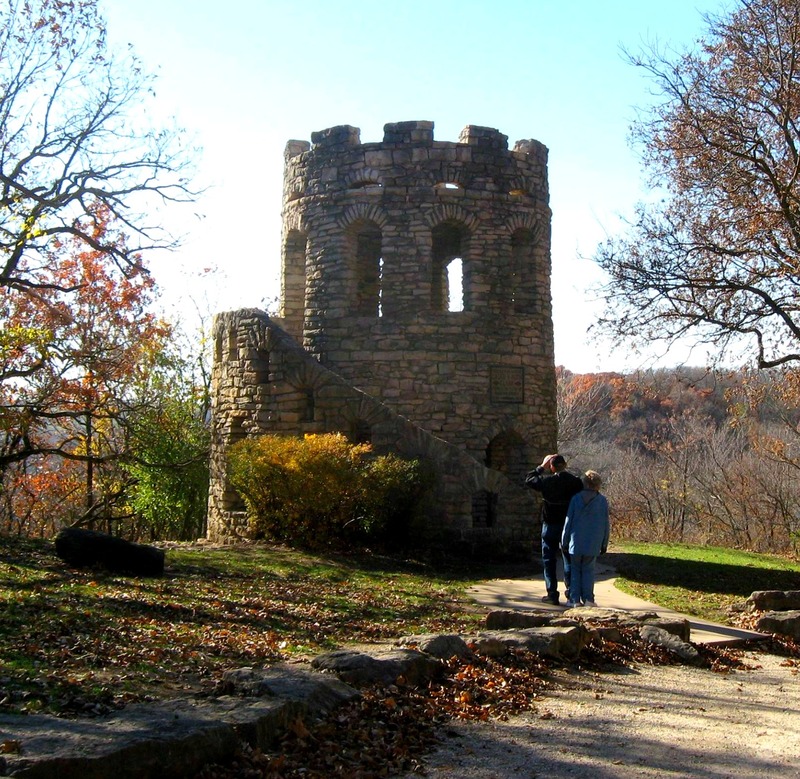 Constructed of native limestone, it stands 25 feet high and offers a commanding view of the Middle River valley below. To find this historical treasure, simply enter Winterset City Park and follow the signs. It is reachable by car, and also makes a great hike (2 miles round trip, from the trail entrance point in City Park and back).